Ski and Tennis Station is North Carolina’s full service ski shop. At Ski and Tennis, we strive to bring our customers the best selection of ski and snowboard equipment available. We also provide up-to-date ski reports, rentals, and services. The Best Ski Equipment In the Triad! Whether you need an entire ski wardrobe or a jacket that will work for you daily and an occasional trip to the slopes. We have what you need. Great new stuff from The North Face, Mountain Hardwear,Arcteryx, Patagonia, Spyder and much more arriving daily. Check out our great savings on last years gear and clothing. 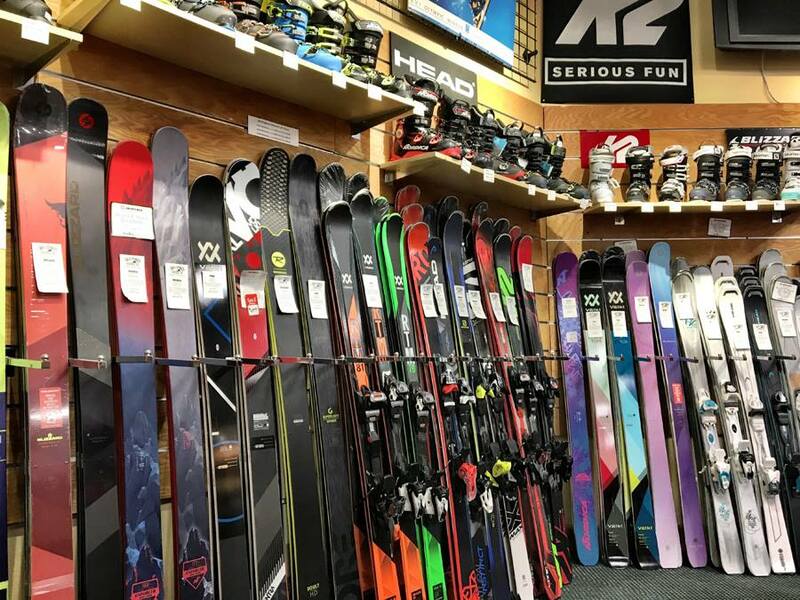 New skis and boots From Volkl, Armada, Blizzard K-2, Head, Dalbello, Nordica, Salomon, Rossignol and more are arriving daily at great prices. Come check out all of the new ski shapes and designs. We have a great selection of twin tip skis and we have the expert staff to get you in the right gear. Dalbello, Head, K-2, Leki, Armada, Marker, Nordica, Rossignol, Salomon, Smith, and Tecnica. Arcteryx, Burton,Volcom, DC, Burton, Descente, Kombi, Marker, Mountain Hardware, Nordica, The North Face, Patagonia, Quiksilver, Roxy, Smartwool, Obermeyer, Spyder, Polarmax and UGG Australia, Sorel and much more. We have a complete repair and rental center. 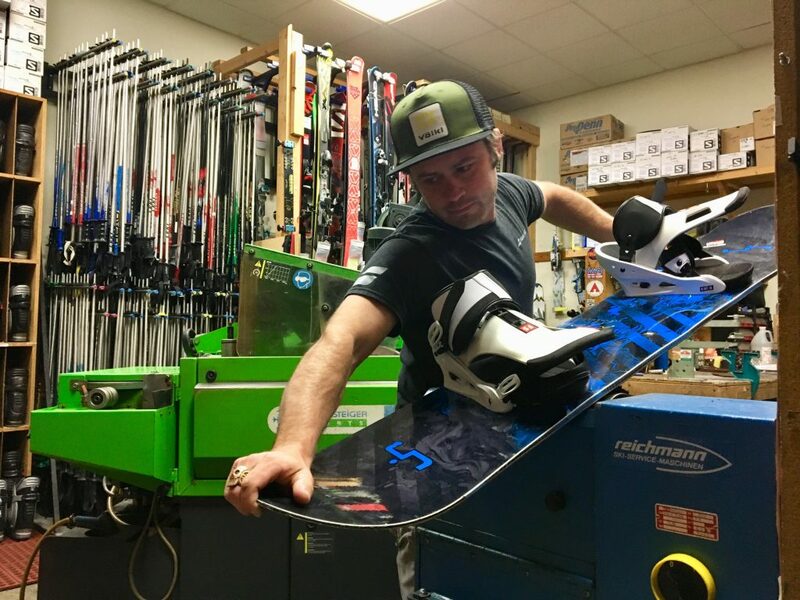 Adult and kids rentals both daily and seasonally and we have a trained service department featuring tuning equipment from Wintersteiger and trained and certified technicians to make sure that your gear is ready for the slopes. 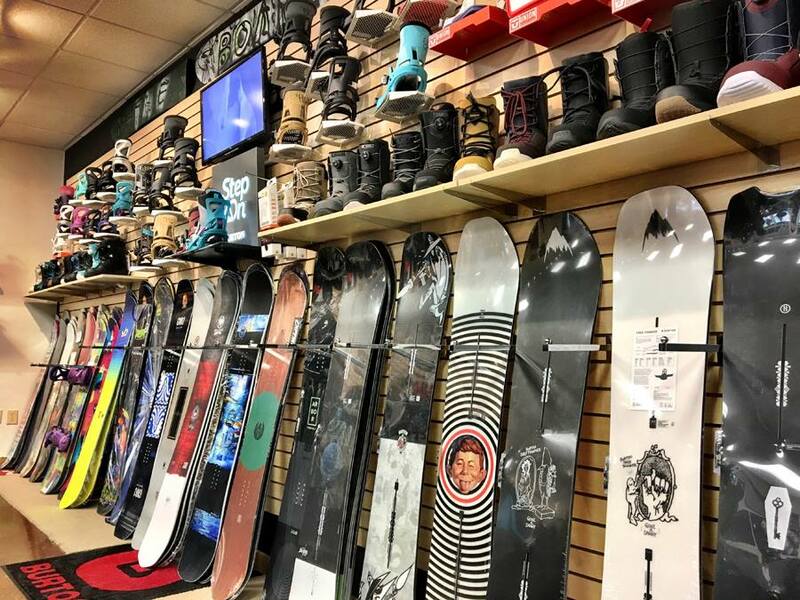 At The Board Room, we carry snowboards by Burton, Libtech, Gnu, Ride, K-2, Never Summer and clothing from Volcom, Burton, DC, Electric, Roxy, Quiksilver, and much more. We are stocked full with all the new gear from Burton, Roxy, Libtech, Gnu, Ride, K-2, Volcom, DC…You want it we’ve either got it or can get it for you. All season long, we pull together a compilation of websites to help you track the weather around the country as you plan your next ski adventure. Proper planning before your trip to insure the best conditions is very important to make your trip as fun as possible. Get ready for your winter adventure! Here’s our rental information that will answer FAQ, as well as offer you pricing so you can go ahead and plan your trip and pickup/drop off times. We believe that nothing will enhance the quality of your skiing or snowboarding experience as much as properly tuned skis or board. We can bring your skis back to a factory-fresh finish with our Wintersteiger stone-grinding machines in only a short matter of time. We take pride in meeting your timetable needs with our tuning services. Take a look at our services to see how we can help you. Here at Ski and Tennis, we recommend you bring your skis/board in for tuning services every 4-6 days of skiing to protect your investment and get that like-new finish.